Montessori developed her anthropological and educational thoughts within the context of an extensive analysis of our time, which she explicated more detailed in her late work which she started in the 30s. Our time seems to be a crucial epoch in the history of man. In the 30s Maria Montessori stated this in one of her lectures on ‘Peace and Education’ like this: “This is the reality of our time: (…) We are experiencing a crisis of an old world coming to an end and a new world coming into existence and showing its constructive elements. This crisis is not an indication of the transition from one era to the other, but it can only be compared to one of the biological or geological epochs that produce newer, greater and more perfect beings while on earth unprecedented living circumstances became a reality“ (Montessori, M.: Frieden und Erziehung, Freiburg 1973, p. 24 (=Montessori, M.: Die Macht der Schwachen, Kleine Schriften 2, Freiburg 1989, p. 41)). This concept of Montessori has gained in right due to the further development of mankind. We are living in a time of crises and changes. Developments are in progress, but nobody can tell with certainty what their effects will be in the end. Moreover, a situation has emerged that has never been there before in the history of man. For the first time in his history man has gained the ability to wipe out his own kind through technological achievements. If man does not think things over and realise the potential crisis of our time, a “universal catastrophe” is threatening, as Maria Montessori says in the same context. “If the star energies of two-dimensional and ignorant human beings are used to destroy themselves, this plan is soon about to work. Since the energies they have at their disposal are immeasurable; and they are available for everybody everywhere and at any time.” (Montessori, M.: Frieden und Erziehung, Freiburg 1973, p.24 ff (=Montessori, M.: Die Macht der Schwachen, Kleine Schriften 2, Freiburg 1989, p. 41)) A few years later Montessori could and had to witness the result of such terrible energies unleashed in order to wipe out human beings in the form of the nuclear bombs dropped on Hiroshima and Nagasaki. Not only does Montessori predict the dangers expressed in the atomic threat, but she also reflects upon the potential for the development of dreadful biological weapons: “If man, who knows the secrets of the pest and holds its invisible factors in his hands, uses what was once an awe-inspiring achievement for rescue in order to spread evil and epidemics poisoning the world, it will be an easy matter for him.” (Montessori, M.: Frieden und Erziehung, Freiburg 1973, p.25 (=Montessori, M.: Die Macht der Schwachen, Kleine Schriften 2, Freiburg 1989, p. 41 ff)) Today, thinking of the numerous forms of bacterial contamination or the possibilities of genetic engineering, for example, we know that man has by now developed even further possibilities than Montessori could think of at that time. This, however, has not changed anything in the basic structure of man’s living circumstances. On the contrary, the threats of our time have even become more multifarious, but also more conscious to the people. Thus, since the 70s and the reports of the ‘Club of Rome’, the public awareness has been raised that we cannot simply proceed with our scientific and technical development with no regard for the conservation of the natural resources that we are dependent on. Man is on his way to destroy the basic life resources of his own species by recklessly exploiting the resources of the planet Earth and by contaminating the environment with unrestricted technical development. 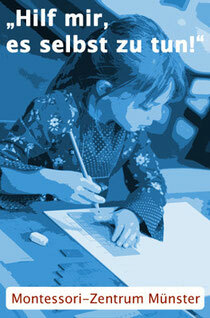 Montessori knows quite well that there have not only been positive developments in the history of man. Despite its magnificence, there have also been serious mistakes, for example the unjust allocation of wealth and political power on earth. For that reason, economic and political reforms that follow the principles of justice and love are inevitable. For Montessori this is not enough, though. “We have to prepare people for the new world that forms all around us like a phenomenon of evolution; we must make them realise the new life coming into existence so that they can work towards a new way of living.” (Montessori, M.: Frieden und Erziehung, Freiburg 1973, p. 25 (=Montessori, M.: Die Macht der Schwachen, Kleine Schriften 2, Freiburg 1989, p. 42)) According to Montessori, this can only be realised by means of a new education. In her opinion human powers must not be directed primarily towards “the advancement of material progress”, but “all efforts must be directed towards the education of the inner man”. (Montessori, M.: Frieden und Erziehung, Freiburg 1973, p. 55) Montessori designed such a full reorientation of a contemporary education in her method. In her reflections on “Cosmic Education” in her late work, Montessori tried to pedagogically realise her insights gained in her analysis of the situation of man. She claims the making of a universal curriculum “that can unite the mind and conscience of all people in harmony” (Montessori, M.: Kosmische Erziehung, Kleine Schriften 1, , Freiburg 1988, p.26ff). The fundamental educational principle, according to Montessori, is “the interdependence of all things and their centring in the cosmic plan” (Montessori, M.: Kosmische Erziehung, Kleine Schriften 1, , Freiburg 1988, p.100). This principle means designing the curriculum in a way that can teach the young to grasp connections and to learn interlinked (vernetztes) and systemic ways of thinking. According to Montessori, all contents of the curriculum must fit in an all-embracing context Sinnperspektive that she believed to have found in the evolution of nature and mankind as a “cosmic plan”. “Cosmic Education” can become the central axis of the different subjects at school. With the help of the history of man the child can, for example, be given the idea that “language, religion … and arts” represent “features common to all people” and that the invention of script as well as mathematical achievements have a fundamental meaning for the origin and development of cultures. (Montessori, M.: Von der Kindheit zur Jugend, Freiburg 1966, p.47 (=Montessori, M.: : „Cosmic Education“, Freiburg 1988, p. 122)) The programmes designed by Montessori for these subjects — especially for maths and language — can then be introduced into the wide context arising from the gained insights. At the same time an intercultural perspective is revealed to the child and the awareness for the basic common features of all people is raised. This can even be reinforced by stressing the intercultural aspects of subjects like language and mathematics — e.g. the characters and arithmetic of foreign cultures. The same applies to religion and arts. Montessori tried to put these ideas into concrete educational practice especially during her time in India (1939-1949). Later Montessori experts have continued this work. Today there are many materials for this educational concept.